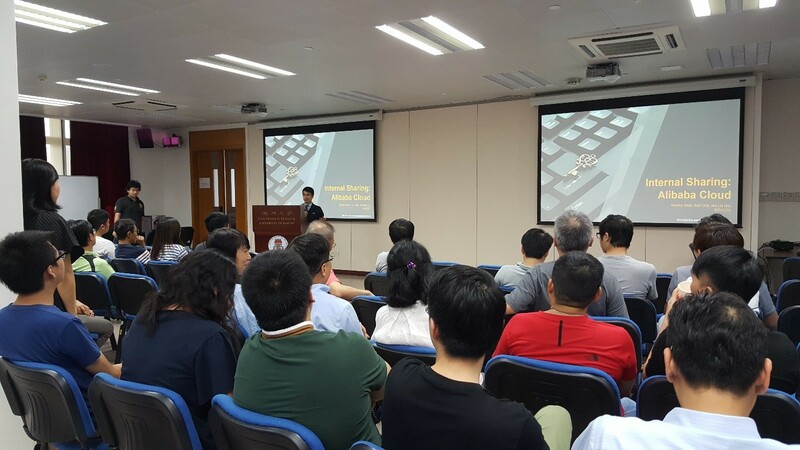 ICTO held a sharing session on 13 September 2018 to provide colleagues an overview about cloud technology and Alibaba Cloud. During the sharing, colleagues from Information Management Section (IMS) introduced background information about Alibaba Cloud. Colleagues shared some common services available from Alibaba Cloud and provided demonstration on deploying an Elastic Compute Service (ECS) instance in Alibaba Cloud. Colleagues also shared some cases about cloud technology usage.